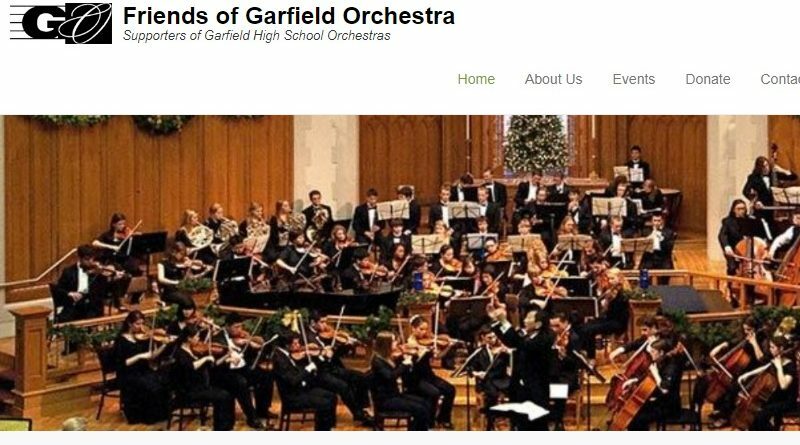 Friends of Garfield Orchestras invites all students and parents to a Family Social! Informational Meeting at 4:30 PM sharp (new parents welcome) in the Garfield Orchestra Room, followed by pizza/potluck dinner in courtyard. Pizza, utensils, plates, cups and napkins will be provided! This will be a great opportunity for new and returning families to meet Kim Roy, to get to know each other, and to find out more information about orchestra performances and activities planned for the year. Questions? Email Bonnie Steele and Kitt Day, FOGO Co-Presidents, at President@GarfieldOrchestra.org.